Street parking/ deep Ellum parking lots. We do not offer valet at this time. 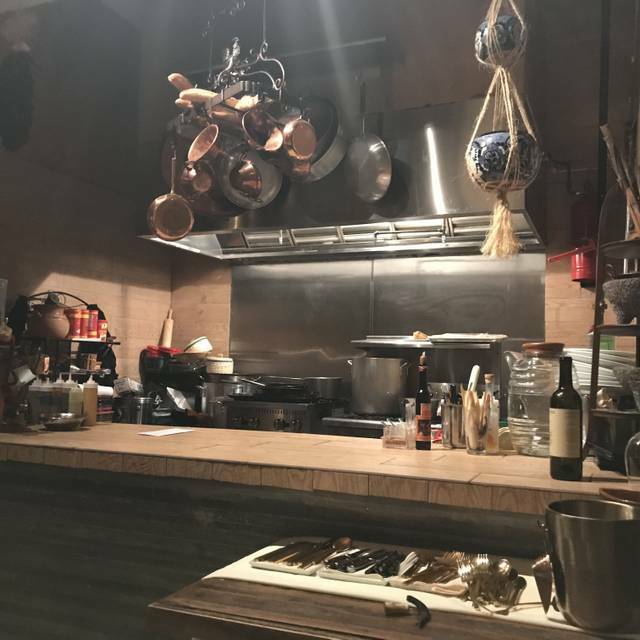 PUREPECHA ROOM is a private 14 person max occupancy OPEN KITCHEN RESTAURANT LOCATED in the BACK of REVOLVER TACO LOUNGE. The Rojas family will prepare and serve the most authentic and delicious flavors of Mexico! 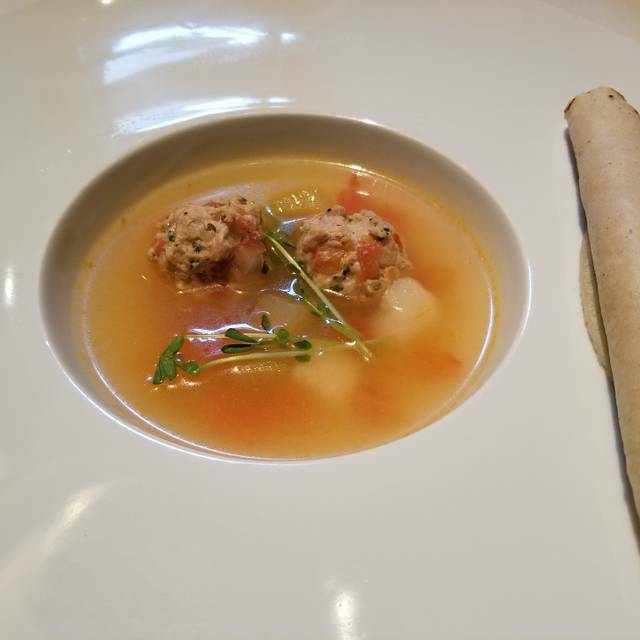 The 8 course tasting menu offered in our Purepecha Room is a fixed price menu by Reservation Only. Wednesday - Saturday . 2 seatings available at 6:00 pm and 8:30 pm. 8 courses. $120 per person unless otherwise quoted for any special requests plus alcohol and service. THIS IS NOT A RESERVATION FOR THE TAQUERIA IN THE FRONT REVOLVER TACO LOUNGE, THIS IS FOR PUREPECHA in the THE BACK DINING ROOM, 8 COURSE PRE FIXE MENU. The ambience is nice and fit only about 13 people. The traditional food is made by two beautiful Mexican grandmothers and put their heart and love into each dish. When we were there there was only one other woman in the restaurant so it was very quiet. And there were so many courses that we had to take a lot home. Some dishes I really liked... dessert was amazing sweet potato ice cream! There were many meat dishes so not fit for vegetarians. Many uses of interesting meat like Quail, salmon toe and pheasant. It was 160 a head and did not include alcohol I felt like that was very unreasonable for the food and experience. I will probably not return. Everything was delicious, the room was perfect and service and drinks tied everything together. Portions were significant, especially over the multiple courses, definitely go on an empty stomach. 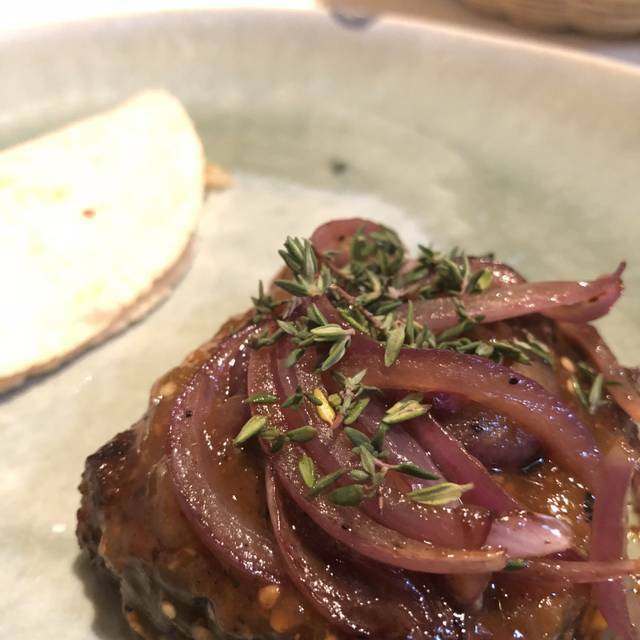 Purepecha Room has been highly recommended by the city's foodie writers, so we've been looking forward to checking it out. Upon arrival, it's clear right away that this is going to be CASUAL, i.e. not much welcome or instruction of how the night will go. With the door to Purepecha Room locked, we loitered at the counter in Revolver Taco for about 10 minutes before someone finally greeted us and offered us a drink. The first seating was going long, we were told; we didn't sit down until 9pm for an 8:30 res. The atmosphere—a room that feels homey and hung with antique pots—is cozy, and the mother/son chef duo charming. But overall, we found the experience to be both highly overrated and overpriced. 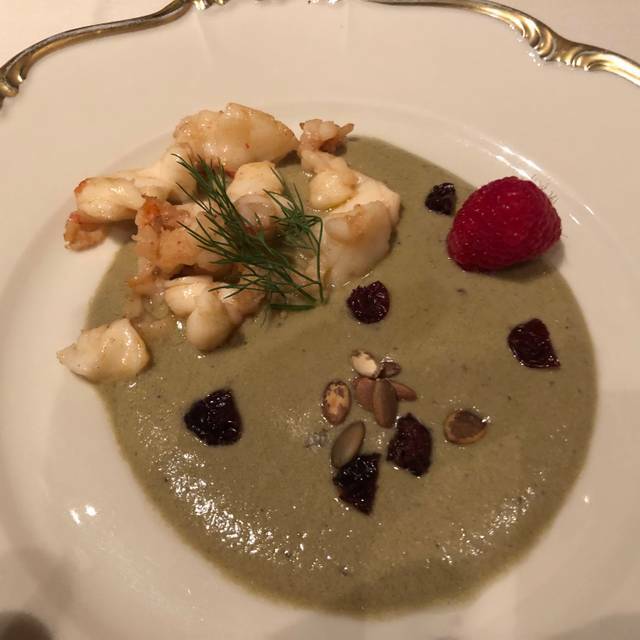 Of the several courses we were served, only a couple of them were standouts (the starter of crudo; an early course of truffle pasta), while most of the rest was fine but unmemorable. The dessert (a spun sugar situation with an overly sweet avocado ice cream) felt more appropriate for the state fair than for a $120pp tasting menu. But it was the service that bugged us most. There was no cocktail or spirits list, so we took the suggestion from our server and tried a pechuga mezcal. When we wanted to move on to wine, most of the offerings on the wine list (leaning toward very boring and mediocre Californians) were sold out. 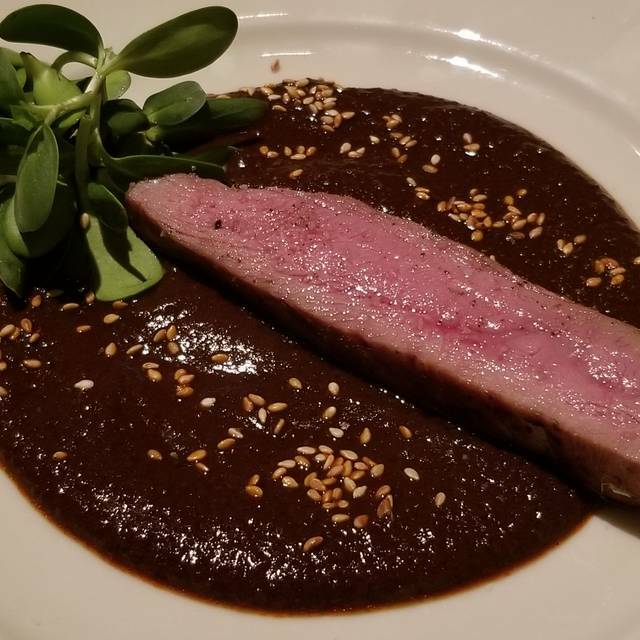 The server recommended a "very special bottle" from Mexico, but since no one working at the restaurant, not even the chef, had ever tasted it, they couldn't tell us anything about the flavor profile—we were just supposed to trust that it was good because it was recommended by a friend of the chef. This felt like amateur hour. So, no wine then. When the bill came, we were stunned to find that our mezcal shots had been $50 a piece! Perhaps that's on us—we could have asked our server the price in the absence of a list with prices clearly noted—but typically it is the service staff's role to inform guests of such things. We left feeling scammed. Really amazing experience. Don’t miss it. It’s worth every penny. Most of the food was good, but it was not worth the price. Plus, we were shocked when we got the bill and realized the drinks were $30 EACH! Definitely won’t come back will would not recommend to anyone. I was disappointed, to say the least. Supper Club. Fantastic food! There is nothing else in Dallas like it. The Purepecha Room is a one time experience. We booked our reservation nearly two months out for the 8:30 pm seating on a weekend night. While we did not fill the room (14 seats, maximum), our group occupied a majority of the seats. Overall, the food was very good. Most of the eight courses represented combinations of ingredients that we had not eaten before. Several courses were outstanding, bordering on incredible. Only one or two were below average. A particular favorite was the pasta with octopus. The stewed lamb in a leaf with rice was delicious as were both of the mole dishes. The hand made tortillas were also great. On the other hand, the courses seemed a little routine (in subsequently reading reviews on-line, we determined that six or seven of the courses are apparently the same from night to night) and the service was not what one would expect for a $120/per person meal. Despite a reservation, we were not seated until 9:15. Although we waited 45 minutes, no one asked if we wanted a drink. When we were seated, the waiter disappeared from time to time adding at least a half hour to a late evening. In the end, I am glad that I went but do not plan to return. We were very anxious to see what the place was all about. We were a little taken aback by the mealworm and crickets but overall very pleasantly surprised. Drinks were overrated but service was good. Such an incredible intimate dinning experience. Every dish was incredible! 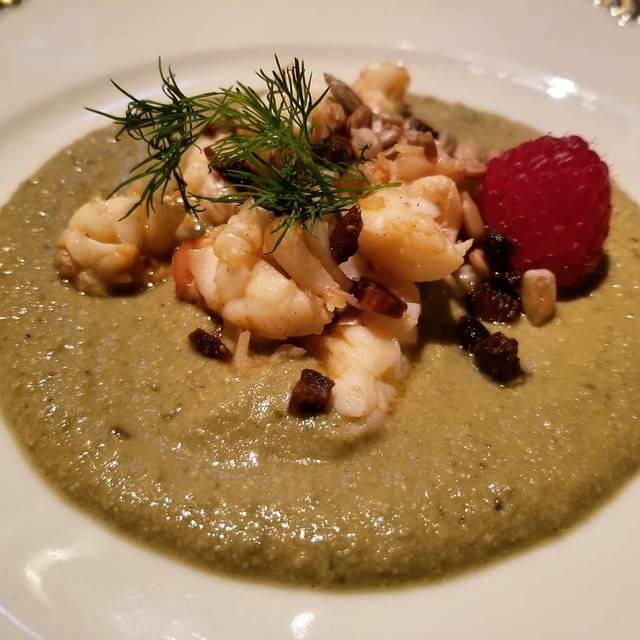 The flavors and dishes put together were exquisite. I’d highly recommend this place to any foodie who wants a special dinning experience! Hands down one of the best, most unique dining experiences I've had. If you want to have not only a nice experience, but also enjoy amazing true home made food. This is the place. Amazing traditional Mexican cuisine done with a high level of execution and creativity. There is no risk of leaving hungry with the 8 course meal (we ended up leaving with some to go). It can't be overstated how good the food is! 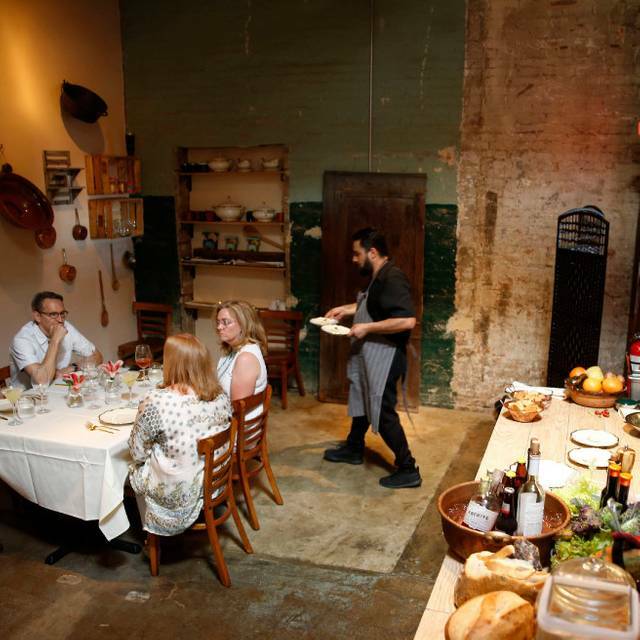 The restaurant itself is small and intimate, but exciting as you are watching Chef, his mother and aunt prepare each meal. Service was excellent as well. We were lucky enough to be the only table in our service (our of 4 total) so the experience was next level. My only 'complaint' is a result of my own mistake. I had ordered Pechuga to have with the meal. While it was excellent, I didn't learn until later that each was $45 (about an ounces worth). It would have been nice to be given a heads up, at least prior to ordering a second. First I must say the food was excellent. Went for the eight course tasting. Tasting was an understatement. Because of the richness of the food, the servings were pretty large. Was stuffed at the end of our meal. The service was a little haphazard. Silverware was not replaced at the end of each course. Our white table cloth was decorated (stained) at the end of our evening. Also, water refills were slow. Our "server" was also managing the front part the restaurant and would disappear for periods of time. For the price we paid (see later comments), I expected better service. When we made our reservation, I was not alerted that there was an increase in price of the tasting. On the limited website and reading reviews, it appeared that the tasting was $85 per person. When I was presented my check, it was $120 per person. I guess it was my fault for not asking. Realize that this is for food only. Wine and cocktails are extra. I have eaten tasting at other Dallas restaurants (FT33, The French Room for example) and this price seems a little high. Will I go back? Right now I'm unsure. One of the best meals we have ever eaten. Great from top to bottom! Would definitely recommend. Birthday shout out to my lady was stellar! We were so excited to eat at Purepecha - and loved it when we walked in. There's an open kitchen where you can watch the food being made and it's a really relaxed atmosphere. You really do feel like you're in a friend's grandmother's kitchen! Each course was explained to us and each was very tasty - but lukewarm because the plating took so long to do. The kicker though was when we went to pay. During one of the final courses we were offered a glass of mezcal. The waiter/host said that the chef recommended it to go with the meal. My husband got one. It sort of seemed like it was complimentary... the host definitely did not tell us the price. Imagine our surprise when we got the bill and that teeny glass was $40!!! That really soured the night for us, which would have been fine otherwise. For a glass of alcohol at that price range, the host should advise the customers of the price. Overall, decent food but waaaayyyyy overpriced for what it is. Grossly overpriced food and drinks. The dessert was a joke, a fried dough complemented by a film-covered warm liquid. Tasteless scraps of duck. A 'chef-recommended' spirit that turned out to be $40/glass and $30 for a vodka martini. We had 2 drinks each and ended up with a $400 bill for 2 people. Outstanding find. Amazing tasting menu. Every course was a winner. Small, quaint and lovely atmosphere. Hidden in the back of Revolver Taco! Outstanding 9 course fixed price meal; it may be a bit pricey, but those courses included octopus, lobster, lamb, duck, and wagyu beef, so the price is definitely justified. Every main course was excellent, but I'll remember that lamb dish for a long time; it was phenomenal. My only complain was the flan for dessert wasn't the best texture, but I'm not a big flan fan, so I'm not the best to judge. Definitely a place to go for special occasions. Legitimate, delicious Mexican food with a touch of world flavors that brighten the dishes without being overwhelming. They combine rustic and urban seamlessly. The room reminded me of my Abuela’s kitchen and so did the corn tortillas. My goodness. Simply excellent food created, presented and served with love by a family. Food was absolutely phenomenal! Highly recommend for a special occasion. This was the most memorable dinner we have had in years, food was savory, interesting, unusual and the intimacy of the setting was great. Incredible food cooked with love. Go here! This was the best meal we had all year. If you’re on the fence, book this now! This is so much more than a meal; it is an intimate experience. You will feel like you are stepping inside a family's home while being served authentic and delicious cuisine. Highly recommend! Dining experience was AMAZING. Food was authentic. Some of the most delicious food I've eaten in a long time. In addition, it's a fun experience to see the action in the open kitchen. Dinner and theater in one, ya know? A wonderful experience. All I can say is that it was phenomenal. That is all. We had a reservation at 8:30pm and were told at 8:45 another 10 minutes. By 9:35 we were still not seated and decided to leave. The other guest waiting also all left. If they had told us the truth when we first arrived, we would have left earlier and gotten food somewhere else. The chef never even came out to apologize to the 10 people waiting for dinner. We’d heard great things about this place but very disappointed. After hiring a babysitter, finding tough Deep Ellum parking and walking out starving, we will not be returning! 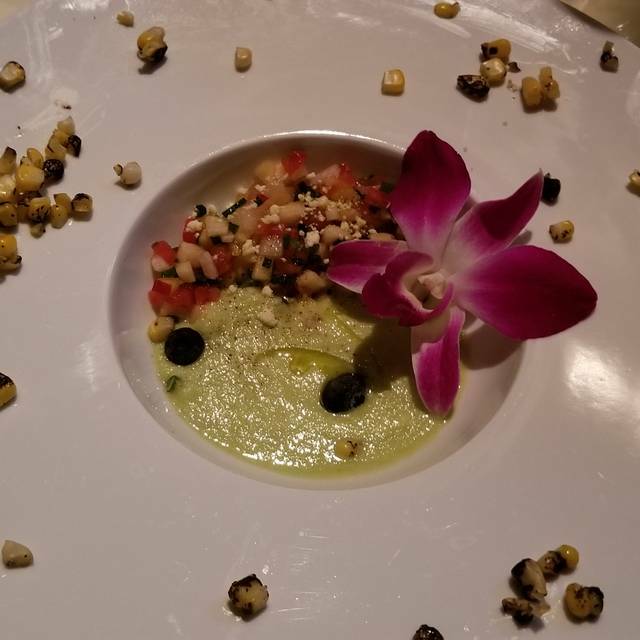 Unique dining experience with excellent food. The chef, his mother, niece and aunt make and serve their family recipes, explaining the ingredients and heritage. Gourmet meal that feels like family dinner. 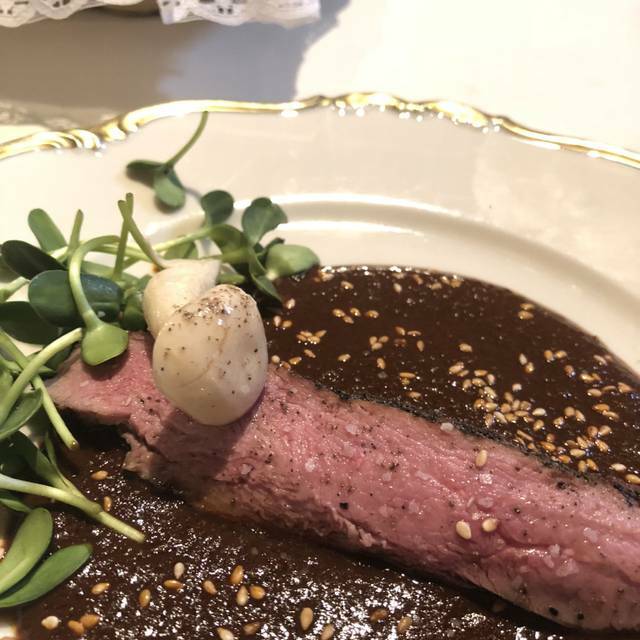 Purepecha was an amazing experience, for a great value - I highly recommend it to those who want an authentic and intimate setting. The evening I went, there were the three groups: couple (us), a friends group, and a family. Everyone seemed to have a great time, and we all could share the space easily. My favorite dish of the 8 course menu was the Pulpo (octopus) - I'd come back for that alone, but every dish has it's unique flavors and style. It'll be treating a friend or family to this gem again soon!